Just want to sign up with DIRECTV? Use my referral link and get signed up and watching NFL Sunday Ticket today! I signed up for DirecTV a little over a year ago when we moved from San Diego to Newport Beach. I used to have ATT U-Verse and I loved their service: it was less than a hundred dollars for internet and TV and I got everything I wanted. And since I wasn’t on a contract, every time my promotional credits expired, I would just call in and threaten to cancel and they would quickly succumb to my negotiating powers. U-Verse wasn’t offered in our new area though so I decided to get internet from Time Warner Cable and my TV from DirecTV. I’ve been on the fence for years about cutting the cable and the one thing that has been holding me back is the ability to watch and record live sports. I actually don’t even need to watch them in real time anymore (I love watching a 2 hour basketball game in just 30 minutes by fast-forwarding through all the commercials and free throws). But I just can’t imagine an entire season of football going by without me being able to sit on the couch and watch for hours at a time. That is my definition of a good time. One of the things that sold me on DirecTV initially was the low price and the fact that they gave new subscribers free NFL Sunday Ticket. For those who don’t know that basically just means that instead of only getting to watch two games at a time on Sundays, you get to watch all of them! The big problem with DirecTV plans though is that they give you a bunch of promotional credits that expire after year one of your two year contract. So once my promotions expired, my bill shot up from $75 to $115. Even though I knew the average price of $95 over two years was much less than Time Warner, it just didn’t sit well to have to pay so much for my beloved football. I read reports in a thread on SlickDeals that even if you were still under contract with DirecTV you could call in, threaten to cancel and get some type of retention offer. The best offer someone was able to get was $10 off per month and free NFL Sunday Ticket. This obviously depends a lot on what you say and which rep you get but I figured it was worth a shot. Why don’t I just sign up for Netflix and pay $7/month? Basically I just did a lot of complaining until the rep finally relented and said they could offer me $10 off per month or half off the price of NFL Sunday Ticket ($180 instead of $360). Normally I would have taken the $10 off per month since that’s going to save me $120 over the next year but since I knew people were getting better offers I told them I was going to cancel unless they could give me free Sunday Ticket and $10 off/month. The rep stayed strong though and didn’t budge on his initial offer. I guess they called my bluff, or did they? Companies hate losing customers since they know how much of a hassle it is to transfer your service. Most people would rather stay on with DirecTV for example than switch to a new provider who provides the exact same services but for $10 less per month. That $120 savings per year probably isn’t enough to justify all the work it would take to cancel your old service, set up a time to be home to get the new one installed, etc. But as a consumer, you can use this to your advantage. I ‘threaten to cancel’ my service all the time (with everyone from TV providers to credit card companies). Generally, when you call into a company’s customer service line, the first rep that you talk to won’t be able to offer you much. You need to threaten to cancel in order to get transferred to the retentions or cancellation departments. These are company’s last lines of defense against losing customers so they’re going to bring out all the stops to keep you. I knew that DirecTV had better retention offers available but I didn’t feel like wasting my time calling in again until I got a rep willing to work with me. Instead, I tried something new. I told them I wanted to cancel my service and I scheduled a cancellation for the end of the month. My plan was to wait it out and see if they would give me a better offer. If they didn’t, I would just call in and try to get the $10 off a month they had initially offered me. Within a day though, I got a call from DirecTV. The guy on the other end of the line claimed to be my account manager and he told me he would make sure that he did everything in his power to retain my business. I basically explained to him that I was more than willing to pay the $75/month I was paying but I wanted to keep the same programming I had and I wanted free NFL Sunday Ticket again. Lofty demands but I figured it was worth a shot. After some back and forth, they eventually agreed and they put me on the DirecTV Choice Package for $85/month (I had a refer a friend $10/mo promotion that expired) and they gave me free NFL Sunday Ticket. At one point, they were going to charge me $100 for the NFL package but I told them no deal. The rep talked it over with his manager and they said they could make a one time exception. Gee thanks. I don’t know if everyone will be able to replicate this deal but it does show that going the extra mile can really pay off. I spent a couple hours researching this deal, posting on Slickdeals and calling in to DirecTV. In the end, it was fun to figure all of this out and the monetary pay out was more than worth it to me. I could never justify paying $360 for a few extra NFL games but if it’s free, sign me up! Most companies know that you have a lot of different options but it’s up to you to leverage those other offers. You can’t be afraid of threatening to cancel and then actually going through with it because that’s the only way you keep the power on your side. There’s a reason why they say more competition is a good thing for consumers. There are a lot of people who won’t go to these lengths to save a few bucks. But since I did all of the leg work for you, you should be able to get a similar deal in a fraction of the time. Readers, what do you think about my strategy to milk everything that I possibly could out of DirecTV? Would you do the same or is it just too much hassle? If you’re a football fan like me, DirecTV is actually offering free NFL Sunday Ticket again to new customers. And if you use my trick, you should be able to turn that one year of free football into two years. If you’d like to support the site, please sign up using my referral code and we’ll both get $10/month off our bill for 10 months. I had ATT uverse back in Michigan before I moved.. I have to admit I loved it and got fairly hooked to the convenience of it. Remote log in to my DVR to setup recording was really slick. However, when promotions expire and my bill goes up from $105 / month to $153 I have a problem with that.. The standard $10 or $20 off still doesn’t help much.. I discovered 2 years ago they started offering a contract similar to a cell phone where if you cancel they would charge you about $250…. Something I was willing to accept when they offered my existing services for $107 / month. They also do become receptive when you have been a 4 or 5 year customer and they do want to retain that business. But the bottom line is I would go with ATT, Comcast, Charter, Direct TV, DISH any one of them that gave me the best deal. They all offer much of the same services and hardware. Currently I don’t use any of their services so the $105 drain is no longer on my budget anyway.. It might be hard to go back to paying that again in the future now that I’ve gotten out of it. NPR and the CNN I read on lunch at work provide my new coverage. 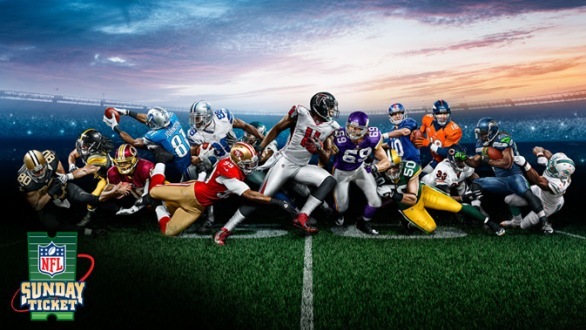 Fortunately I’m not sucked into any of the sport rituals… NFL, NBA, NHL, MLB or the like..
Wow it’s amazing to know that there are still people like you who will pay a lot just to watch sports you want. We’ll we are have our own differences on how to make happy and enjoy our lives. Thanks for sharing this article. I had fun reading it. You didn’t specify how long your DirecTV discount were for. Please provide that info, and encourage others to report how long their discounts lasted. 1 year of savings but I’m not on contract anymore either..
Nice, let me know what happens 🙂 Curious to see if this still works.